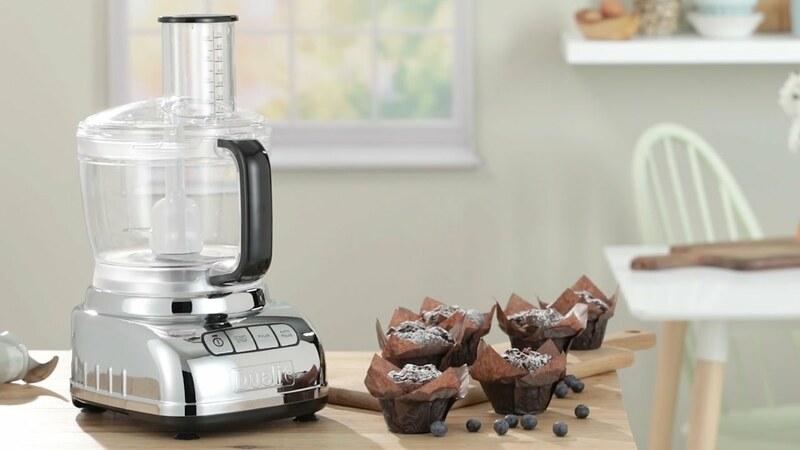 Dualit's XL1500 food processor comprises three interconnecting bowls, nine tools for chopping, mixing, slicing and shredding a unique E-disc for emulsifying liquids and a dough blade. Other unique features include a sealed drive system (the large bowl has no central hole) and a fully adjustable slicer. Its ingenious design means that you can fit both bowls inside each other, removing each one as it's used and leaving the washing up until last. The strength of the bakery grade dough blade allows you to produce breads and pastries quickly with no hand kneading. With its rich, moist texture, this torte makes a perfect dessert.